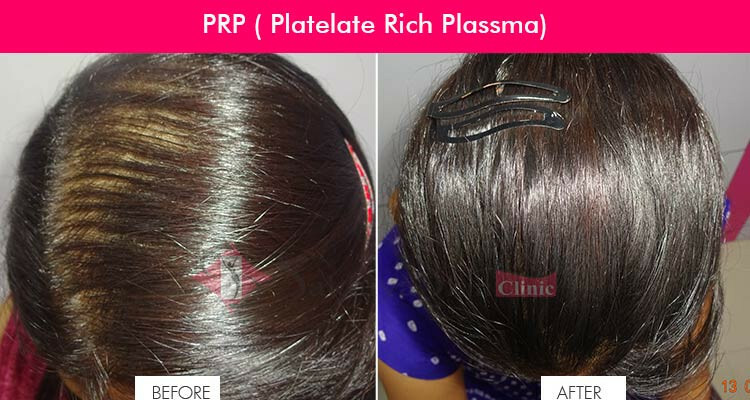 PRP Hair Restoration is suitable for both men and women. It is a state of the art, non surgical, totally natural, alternative medical procedure used for the treatment of hair loss or hair thinning. It is an injectable treatment which uses the patient’s own blood. With a thin needle, your own Platelet-Rich Plasma (PRP) is injected into the scalp. Then the growth factors in your blood cells do their job and hair growth is naturally stimulated. The cost of PRP hair treatment can be considerable, as more sessions may be needed to obtain the desired result. PRP is also being used in conjunction with some hair transplant procedures. Platelet Rich Plasma Therapy: what is it and how does it work? The doctor takes a little blood which is then treated in a centrifuge so that only the enriched cells or platelets (PRP) remain.The PRP or highly concentrated Platelet Rich Plasma, including essential growth proteins, is injected into the scalp or areas to be treated using a special micro needle. It is possible to use PRP Hair Loss Therapy alone to promote hair growth or it can also be used in combination with hair transplant or restoration surgery.